Is Going from Red to Blonde Really Fit for You? 1 Does blonde complement your eye color and skin tone? 2 Are you willing to dedicate time and money on multiple treatments? 3 Is your hair healthy? 4 ​Can you keep off hot styling tools? Red and black are among the most difficult colors to remove and hence changing red colored hair to blonde is difficult. You need to consult a professional colorist to change your hair color successfully. 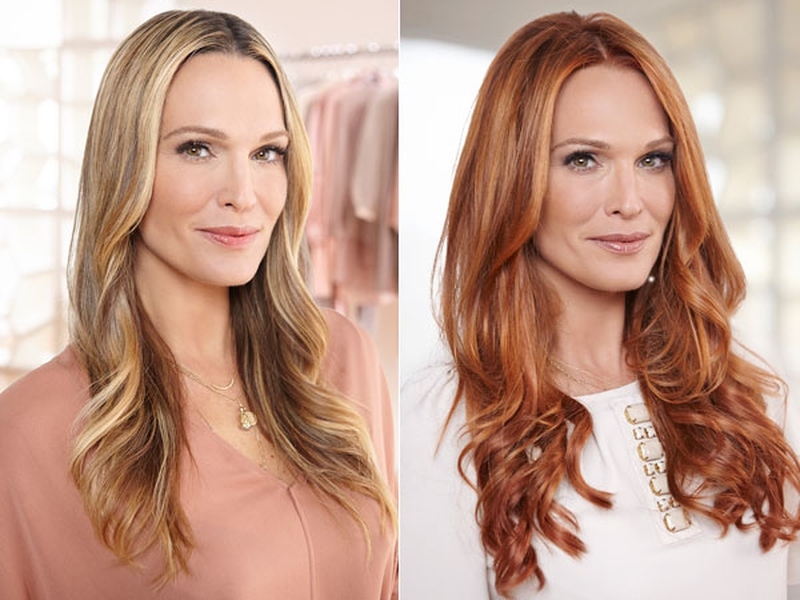 If you have changed your hair color successfully before and are daring to try going blonde, here is a few steps on how to go from red to blonde. Use a color stripper to remove the red color from your hair. When changing hair color from red to blonde, you may end up with orange tones. Hence, ensure that you remove as much red dye as possible. You can buy a color stripper from any salon and follow the manufacturer’s instructions on how to apply it. Your hair may appear blotchy and have a mixture of red and natural hair color afterwards. Applying a color stripper does not remove all the dye. Bleaching removes the remaining red color that may lead to red or orange streaks after dying. Mix powdered hair bleach with a 20-volume developer as per the instructions on the bleach packet. Apply the mixture generously on your hair and leave it for 20-45 minutes before rinsing it. Apply conditioner to rejuvenate your hair after removing the dye because a color stripper or hair bleaching is harsh on hair. Conditioning treatment moisturizes your hair and protects you hair when coloring it. Condition your hair for 15-20 minutes before rinsing. Apply any shade of blonde on your hair. Avoid ash tones because they may cause a greenish tint after dying. Condition your hair after applying the blonde dye. Wash your dyed hair thoroughly with purple shampoo. The purple shampoo removes any orange or red tints that may appear on your blonde hair. The shampoo is readily available in many salons. You may need two boxes to dye your whole head if your hair is thick and shoulder length or longer. In case you do not use the extra box, keep it for next time. Lay out all your tools before starting the coloring processes to avoid stopping in the middle to get a tool. Check all the tools your need from the instructions on the box. Squirting the dye from the bottle directly to your hair is fun but messy and imprecise. Mix color in a bowl and use a color brush to apply for a professional and even finish. You can strip down when dying your hair to avoid staining your clothes. Alternatively, you can put on a shirt or robe with buttons. Cover surfaces with garbage bags instead of sheets or towels. Besides, apply a solid lip balm on your hairline instead of using a goopy salve to protect your forehead from the dye. Do not be tempted to skip the strand test. Test a new shade on a few trimmed or hidden strands before applying it on your whole head to make sure everything works perfectly fine. Hair roots need the most color and processing time. Apply the dye there first then comb it through the rest of the hair. Divide your hair into four to six sections. Use your bathroom mirror to color the front and then hold a handheld mirror to view the back of your hair. You will not miss a spot when using two mirrors. Using wet wipes to sop dye splatters is another useful tip on how to go from red to blonde. It is difficult to clean dye splatters when they are already set. Paint highlights of another dye that is two shades lighter than the new color using a mascara wand or a clean toothbrush. Apply the highlights on places where the sun hits like the hairline. Extreme color changes like moving from red to platinum involve multiple processes. A hair colorist should handle such changes because he or she can assess color tones and minimize damage. Use a darker or lighter shade of your current color. Cover your dyed hair with a disposable shower cap before you move around to prevent the dye from staining surfaces. You need clean gloves when washing off the dye. Have an extra pair of gloves in case you cannot reuse the original gloves. Does blonde complement your eye color and skin tone? Check if you had a natural blonde from your childhood photos. Go for a blonde shade that complements your skin tone. Non-brassy ash tones are ideal for cool skin tones and golden shades ideal for warmer tones. Remember that blonde can leave a washed-out effect on yellow undertones. Are you willing to dedicate time and money on multiple treatments? You may require multiple color appointments and treatments for a complete transformation. Keeping your hair healthy while becoming lighter and lighter every day is a challenging task. Moisturizing between services is necessary to keep your hair healthy. You cannot apply hair masks in this process. Applying color on damaged hair has more effects that just split ends. Damaged hair affects the coloring process and absorb color into your hair. If your hair is in bad shape from color, heat, or sun damages, wait until it is healthy to start the blonde transformation. ​Can you keep off hot styling tools? Colored hair suffers continuous damage as it becomes lighter every day. Using hot styling tools on it may cause internal damages, which weaken its protein cross-links. If you must use hot tools, keep the temperatures low and apply a heat protectant on your hair to minimize damages on your hair. If you are unsure about how to go from red to blonde or how to maintain the new color, consider touches of blonde. The touches may work better than whole-head transformation. Babylights and sombre are flattering on everyone and require low maintenance. Server responsed at: 04/19/2019 11:39 p.m.